Zenith pen, a perfect gift at a great price point. I would recommend the product to everyone. The quality is outstanding! Very great with how our logo looked on the product. The pens were wonderful, precisely what we wanted and arrived at the exact time the customer representative had anticipated. It was so simple to put our logo on it and receive it in a timely manner. Excellent! 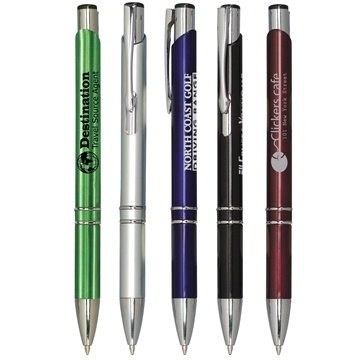 The pen is lightweight and writes much better than more costly pens. the value of the product. The quality and the price were very reasonable. The quality is very nice.